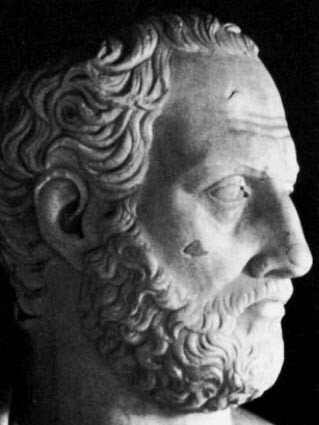 Antigone by Sophocles is an essential play. 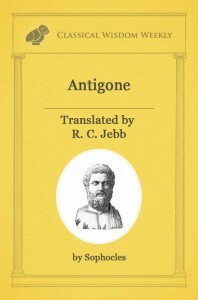 In it, Antigone, a proud and moral character, defies everything to honor her dead brother. But at what cost? Ismene, sister, mine own dear sister, knowest thou what ill there is, of all bequeathed by Oedipus, that Zeus fulfils not for us twain while we live? Nothing painful is there, nothing fraught with ruin, no shame, no dishonour, that I have not seen in thy woes and mine. And now what new edict is this of which they tell, that our Captain hath just published to all Thebes? Knowest thou aught? Hast thou heard? Or is it hidden from thee that our friends are threatened with the doom of our foes? No word of friends, Antigone, gladsome or painful, hath come to me, since we two sisters were bereft of brothers twain, killed in one day by twofold blow; and since in this last night the Argive host hath fled, know no more, whether my fortune be brighter, or more grievous. I knew it well, and therefore sought to bring thee beyond the gates of the court, that thou mightest hear alone. What is it? ‘Tis plain that thou art brooding on some dark tidings. What, hath not Creon destined our brothers, the one to honoured burial, the other to unburied shame? Eteocles, they say, with due observance of right and custom, he hath laid in the earth, for his honour among the dead below. But the hapless corpse of Polyneices-as rumour saith, it hath been published to the town that none shall entomb him or mourn, but leave unwept, unsepulchred, a welcome store for the birds, as they espy him, to feast on at will. 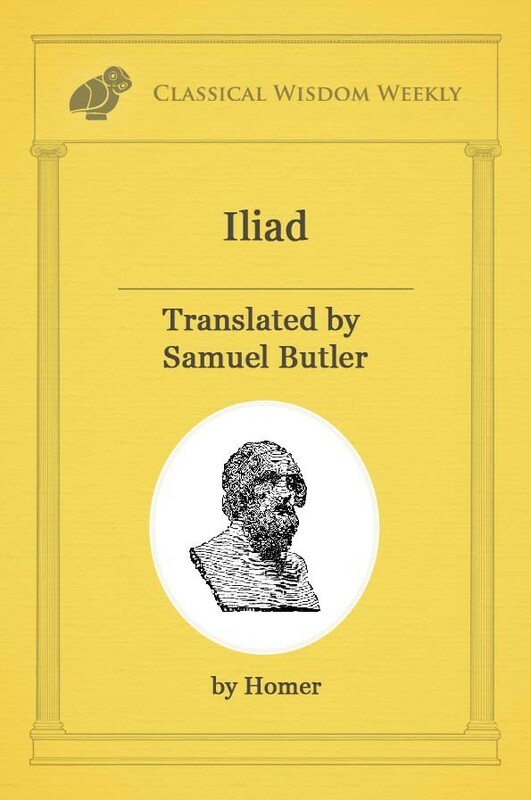 Such, ’tis said, is the edict that the good Creon hath set forth for thee and for me,-yes, for me,-and is coming hither to proclaim it clearly to those who know it not; nor counts the matter light, but, whoso disobeys in aught, his doom is death by stoning before all the folk. Thou knowest it now; and thou wilt soon show whether thou art nobly bred, or the base daughter of a noble line. Poor sister,-and if things stand thus, what could I help to do or undo? Consider if thou wilt share the toil and the deed. In what venture? What can be thy meaning? Wilt thou aid this hand to lift the dead? Thou wouldst bury him,-when ’tis forbidden to Thebes? I will do my part,-and thine, if thou wilt not,-to a brother. False to him will I never be found. Ah, over-bold! when Creon hath forbidden? Nay, he hath no right to keep me from mine own. Ah me! think, sister, how our father perished, amid hate and scorn, when sins bared by his own search had moved him to strike both eyes with self-blinding hand; then the mother wife, two names in one, with twisted noose did despite unto her life; and last, our two brothers in one day,-each shedding, hapless one, a kinsman’s blood,-wrought out with mutual hands their common doom. And now we in turn-we two left all alone think how we shall perish, more miserably than all the rest, if, in defiance of the law, we brave a king’s decree or his powers. Nay, we must remember, first, that we were born women, as who should not strive with men; next, that we are ruled of the stronger, so that we must obey in these things, and in things yet sorer. I, therefore, asking the Spirits Infernal to pardon, seeing that force is put on me herein, will hearken to our rulers. for ’tis witless to be over busy. I will not urge thee,-no nor, if thou yet shouldst have the mind, wouldst thou be welcome as a worker with me. Nay, be what thou wilt; but I will bury him: well for me to die in doing that. I shall rest, a loved one with him whom I have loved, sinless in my crime; for I owe a longer allegiance to the dead than to the living: in that world I shall abide for ever. But if thou wilt, be guilty of dishonouring laws which the gods have stablished in honour. I do them no dishonour; but to defy the State,-I have no strength for that. Such be thy plea:-I, then, will go to heap the earth above the brother whom I love. Alas, unhappy one! How I fear for thee! Fear not for me: guide thine own fate aright. At least, then, disclose this plan to none, but hide it closely,-and so, too, will I.
Oh, denounce it! Thou wilt be far more hateful for thy silence, if thou proclaim not these things to all. Thou hast a hot heart for chilling deeds. I know that I please where I am most bound to please. Aye, if thou canst; but thou wouldst what thou canst not. Why, then, when my strength fails, I shall have done. A hopeless quest should not be made at all. If thus thou speakest, thou wilt have hatred from me, and will justly be subject to the lasting hatred of the dead. But leave me, and the folly that is mine alone, to suffer this dread thing; for I shall not suffer aught so dreadful as an ignoble death. Go, then, if thou must; and of this be sure,-that though thine errand is foolish, to thy dear ones thou art truly dear. Exit ANTIGONE on the spectators’ left. ISMENE retires into the palace by one of the two side-doors. When they have departed, the CHORUS OF THEBANELDERS enters. who set forth against our land by reason of the vexed claims of Polyneices; and, like shrill-screaming eagle, he flew over into our land, in snow-white pinion sheathed, with an armed throng, and with plumage of helms. He paused above our dwellings; he ravened around our sevenfold portals with spears athirst for blood; but he went hence, or ever his jaws wereglutted with our gore, or the Fire-god’s pine-fed flame had seized our crown of towers. So fierce was the noise of battle raised behind him, athing too hard for him to conquer, as he wrestled with his dragon foe.